After 5 years in the market and 2000 copies sold of the excellent PSSuite software, the PSStudio and PSEvents softwares will no longer be updated from this moment moving forward. The software features and specifications will continue to function same as currently, but will no longer be updated. From January 2019, virtual licenses (PDF format) of PSEvents and PSStudio Softwares are not available anymore, and only HASP version will be available for Sales, instead. – No installation nor support concerns. Plug HASP and forget about technical issues. Again, thank you very much for your trust on our technology and services. Mitsubishi Electric Europe Photo Printing Solutions. Posted in Announcement, EN, EN, PSSuite and tagged PSevents, Psstudio, PSSuite on October 22, 2018 by Mitsubishi Electric Europe B.V. Printers Group. Instale otra vez el PSsuite. Posted in Announcement, ES, ES, PSSuite and tagged error, Hasp, PSevents, Psstudio, PSSuite, win10, windows 10 on May 31, 2018 by Mitsubishi Electric Europe B.V. Printers Group. If you install PSsuite on Windows 10 and you face problems during the instalation. 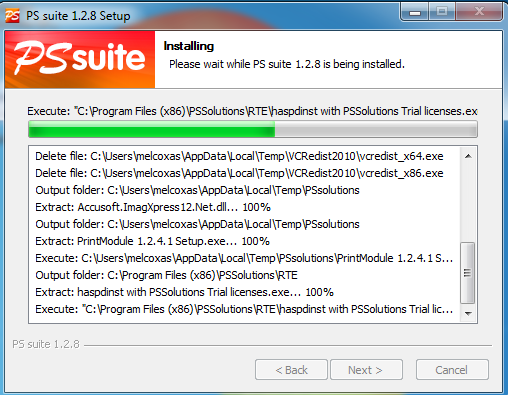 And install again the PSsuite software. Posted in Announcement, EN, EN, FAQ, PSSuite and tagged PSevents, Psstudio, PSSuite, win10, windows 10 on May 24, 2018 by Mitsubishi Electric Europe B.V. Printers Group.